On 2 May 1969 a newborn child’s cries rang out in Santa Cruz, Trinidad and Tobago. Not an unusual event in itself but if the parents of the child, christened Brian Charles Lara, could see what was in the future for their son their pride at his birth would have been doubled. He grew up to be one of the most celebrated cricketers of all time, topping the Test batting rankings a number of times and seizing and holding several records, including the highest individual score in first-class cricket. On that occasion in 1994 he scored an amazing 501 not out for Warwickshire. His dumbfounded opponents, Durham had to simply look on as he scored the first and only quintuple hundred in the history of first-class cricketing. He had a few near-misses – Lara was bowled off a no-ball on 12 and then was dropped by wicket-keeper Chris Scott on 18 (Scott apparently said: “Oh dear, he’ll probably go on and get a hundred”). Technically there was only one ball left when he creamed John Morris through the covers for four to bring up the magic 500. In all Lara faced only 427 deliveries, and hammered 62 fours and 10 sixes. On the final day he whacked 174 runs before lunch. It was little surprise that as that famous day wore on fans rushed to the ground at Edgbaston to witness history being made.. He also is the holder of the record for the highest individual score in a test innings. This time he was playing against England at Antigua. The celebrated day saw him score 400 not out. Over the course of his career he scored many hundreds, but is the only batsman to do that and score a double century, a triple, a quadruple and a quintuple over the course of his career. To add to all this, in a single over in South Africa in 2003 he scored 28 runs off Robin Peterson of South Africa. Put simply, the man was unstoppable. Lara has his family, perhaps, to thanks for his cricketing success. As the tenth of eleven children it would not surprise many if the parents didn’t watch their second to last offspring too often, with so many in the family. Yet it was his sharp eyed father, Bunty and Agnes his older sister who spotted his potential at the age of six and enrolled him in the Harvard Coaching Clinic. As such, Lara’s early exposure to correct batting techniques would stay with him and be developed over his lifetime. When he was a teenager he was in teams in the Trinidad schoolboy’s league. He caught the eye of the national under 16 team when his average in the league was an amazing 126 per innings, not to mention his tally of 745 runs in the league. At the age of fifteen he played his first West Indian under 19 tournaments and the same year saw him represent his country for the first time. His heroes, Gordon Greenidge, Viv Richards and Roy Fredericks were soon to have company in that special league of their own. 1987 was a memorable year as Lara scored 498 runs in the West Indies Youth Championships – the first record of many that he was to break. The following year he made his debut for Trinidad and Tobago and scored 98 in his second first-class match. 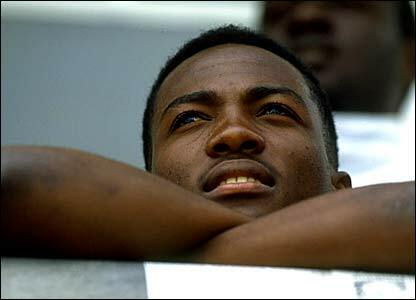 The same year saw him captain the West Indies in the Bicentennial Youth World Cup.Lara was on his way. The following year his great opportunity presented itself – he was selected for the West Indies team (rather than the youth team) but this coincided with tragedy. His father, Bunty, died and Lara withdrew, coming back the year after to captain the B Team in Zimbabwe.He was not to be held back again. In 1990 at the age of twenty he became the youngest ever man to captain Trinidad and Tobago. He also made his debut for the West Indies. In 1993 his International career truly got underway when he scored 277 against Australia – his maiden test century. His efforts proved to be the turning point for the West Indies as they then went on to win the final two tests – and the series 2-1.To commemorate this, Lara would name his first daughter after the city in which he had achieved this – Sydney. 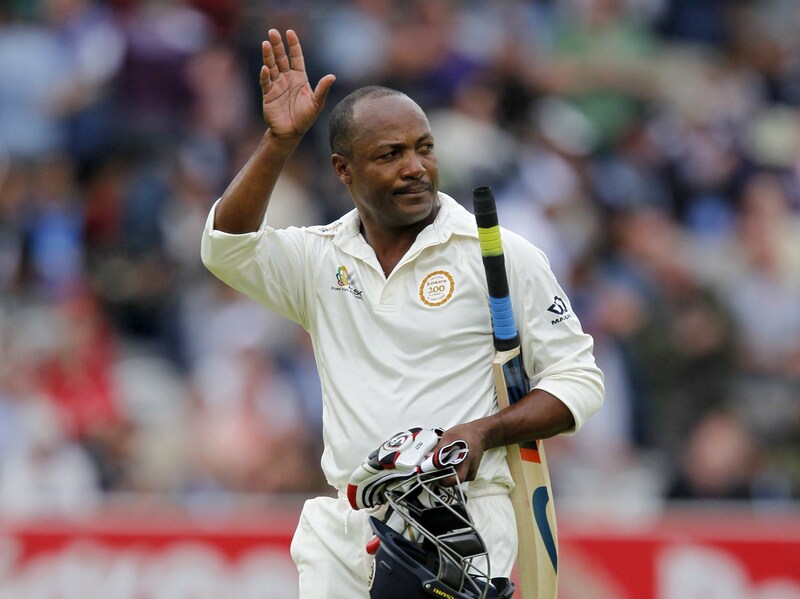 In 1995 Lara was made Man of the Series in the test match against England. 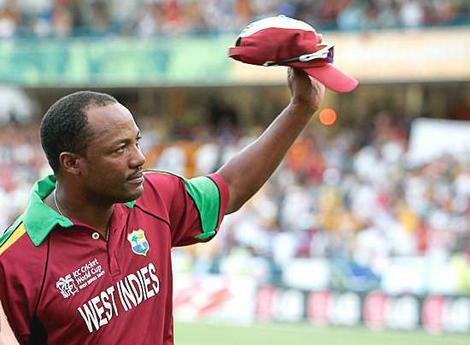 He captained the West Indies from 98 to 99 won Man of the Match against Australia as well as Man of the Series in the famous Four Test Series of 1999. Lara was reappointed as captain against the touring Australians in 2003, and struck 110 in his first Test match back in charge, showing a return to stellar performance. Later that season, under his captaincy, West Indies won the two match Test series against Sri Lanka 1-0 with Lara making a double century in the First Test.In September 2004, West Indies won the ICC Champions Trophy in England under his captaincy. 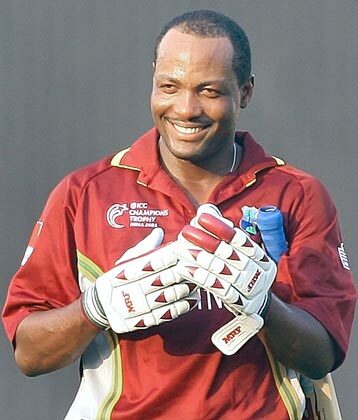 He returned again to the captaincy of the West Indies in 2006 and led the team to victories against Zimbabwe and India. In the same year he became the first player in the team to ever pass the 10,000 run mark. He retired from international cricket in the following year.Unable to resist it, he played again for Trinidad against Guyana – which they won. Lara’s cricket career is still happening today but what it holds for him is unsure. Whatever happens he will certainly go down in history as one of the best cricketers of all time.